Leech therapy is proven to increase and smoothen the flow of blood in the body. Also, the saliva in leech also had compounds with anti-inflammatory properties. Thus it is also useful for avoiding heart diseases due to inflammation like heart attack and stroke. Thus leech therapy is very useful for heart patients. Many ulcers caused due to varicose veins are very difficult to treat and sometimes never heal over the lifetime. It causes discomfort and extreme pain at times and is a very common disease. Leech therapy has become a very popular choice these days to treat the same. Leech therapy has shown results in ulcer treatment often when other methods of treatment failed completely. Arthritis is another very common ailment that affects a large number of people, especially the older ones. Arthritis has many types and some very important ones like osteoarthritis are caused due to inflammation. Leech saliva has anti-inflammatory properties which can provide relief and even prevent arthritis and other bone related diseases. Leeches have become popular as they preserve soft tissue and speed up healing. 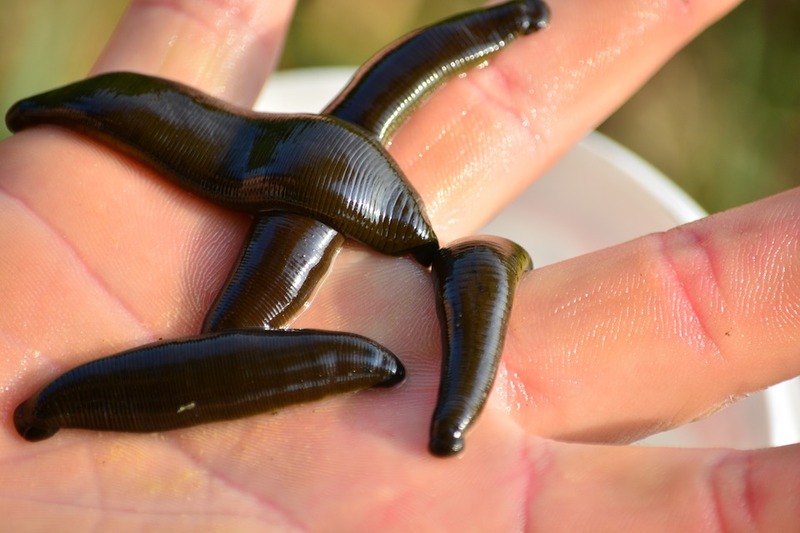 Leech therapy increases the flow of blood and hence healing in reconstructive surgeries. It can also help treat baldness and hair loss on the scalp. People with diabetes have denser and thicker blood which increases the chances of clotting. Suppression of blood clotting is very essential and Hirudin present in leech salivary glands does this job very well. Thus leech therapy can be very useful for people suffering from diabetes too.